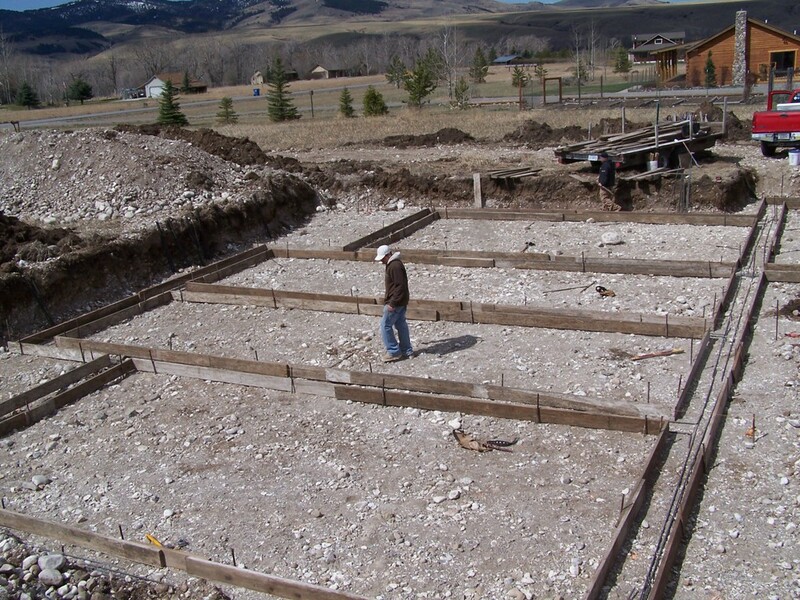 The next stage of our custom log home in Bozeman, Montana area is to frame up the footers, pour the cement, erect the cement forms for the walls, strip off the forms, and then pour the flat work. Due to spring weather conditions this is taking longer than we had planned. This photo is taken from the back left corner of the home. The seven foot wide stepped out area on the front of the great room is visible just to the left behind the workman. 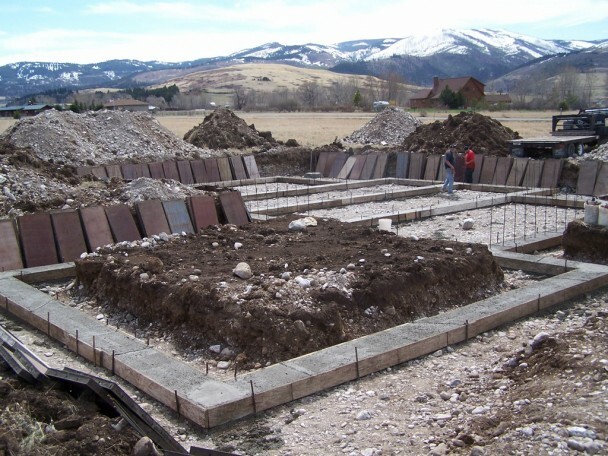 The forms for the footers are set at a precise width and exactly along the foot print of the home. 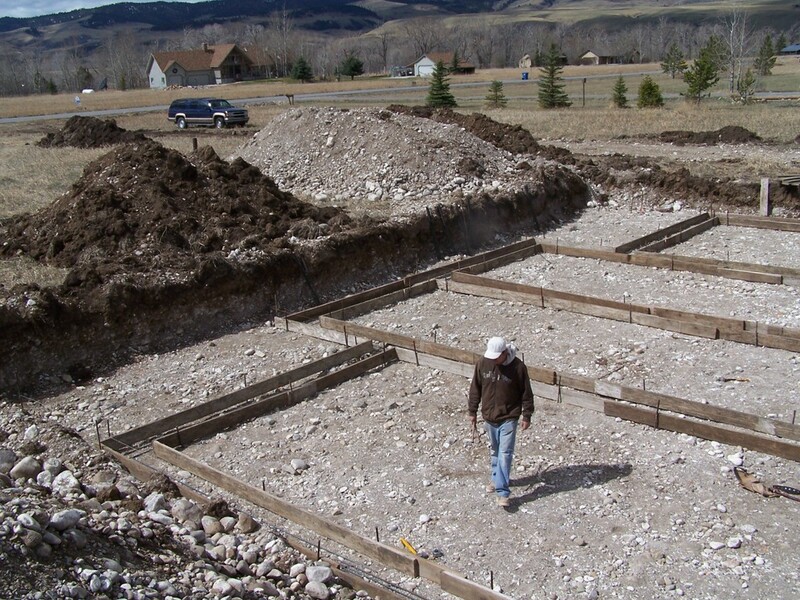 As you can see the footers for this project not only are under the exterior walls, but several footers also traverse the house from front to back. With a log home there should be a footer underneath every interior log wall. Also there is an additional footer that runs down the center of the great room area. With a great room width of 24 feet this extra support is necessary. 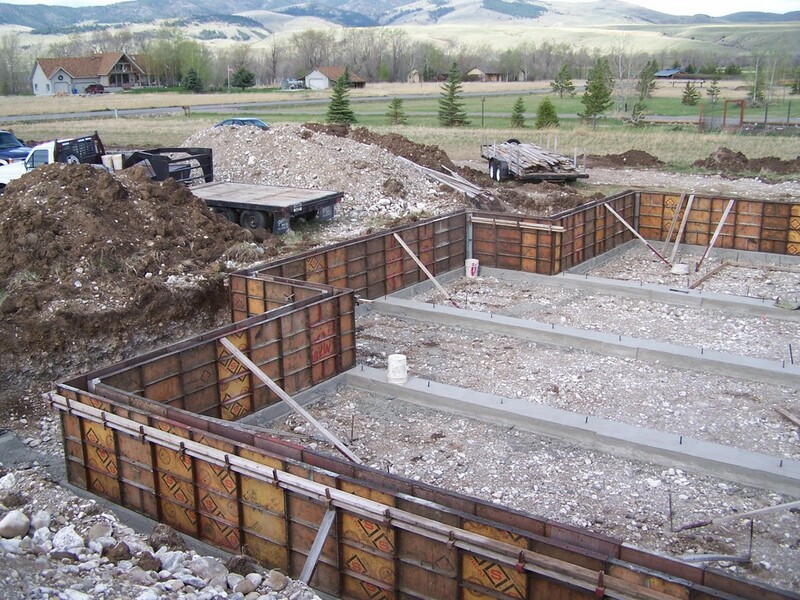 Rebar is placed inside the footer forms for added strength. If you look closely at the right hand side of the photo you can see the lines of rebar. This photo is taken from the back right corner of the foundation. The dirt piled directly in front of the camera is for the garage. The garage will have a cement slab and the rest of the home will be on a four foot crawl space. The build up of dirt materials is part of preparing the ground for the cement pad. 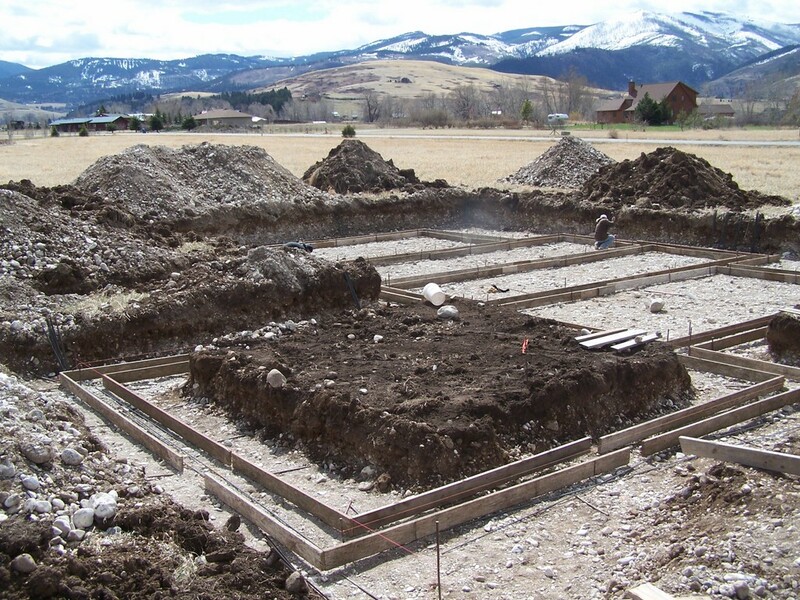 From reviewing the blueprints we are finding that the foundation schedule of the blue print is requiring a slightly larger footer than you would find with a standard construction house. You must remember with a handcrafted log home that those logs are REALLY heavy. A larger footer is not out of the ordinary but following the blue prints is vital to keeping the project on target. Once the footers were all in place the cement truck came and poured the footer cement. Here we see a round pillar that will be under one of the porch posts on the front of the home. 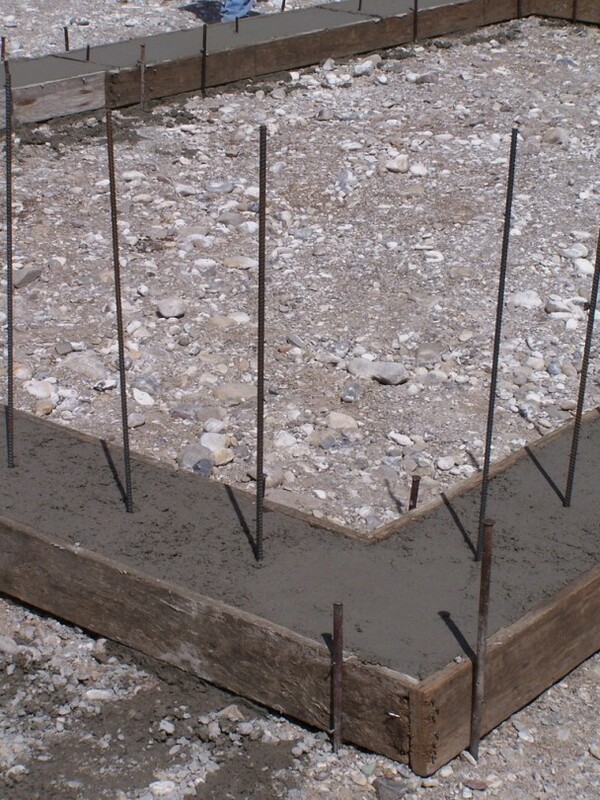 The porch is outside of the footer of the home so a separate cement pier was poured for it. We really liked how the cement contractor beveled back the edges of the pillar. This is a touch of quality. While the cement is still wet four lengths of rebar are placed into the pillar. As you can see all of the footer cement is in place. Then the workmen go along the tops of the forms and partially trowel them removing the excess and also leveling them. 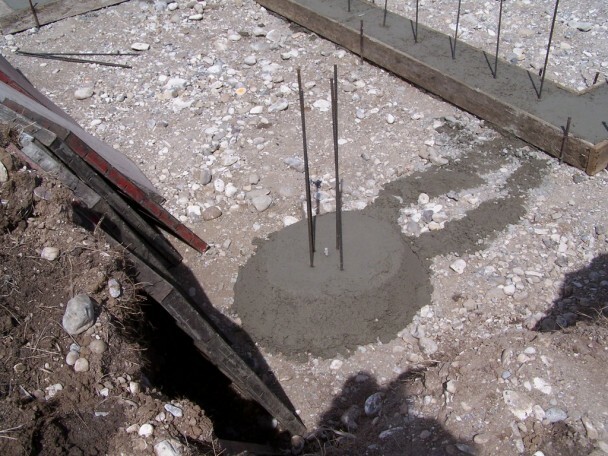 Then rebar is place vertically into the wet cement. 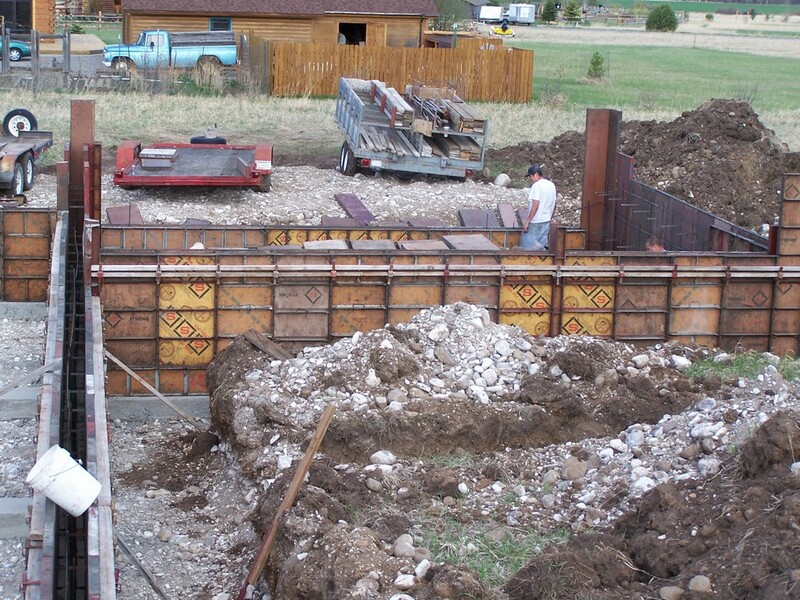 The long lengths of rebar will go up into the wall forms tying the walls and footers together. The rods are placed very close together for added strength. This photo is taken from the back right corner of the garage. 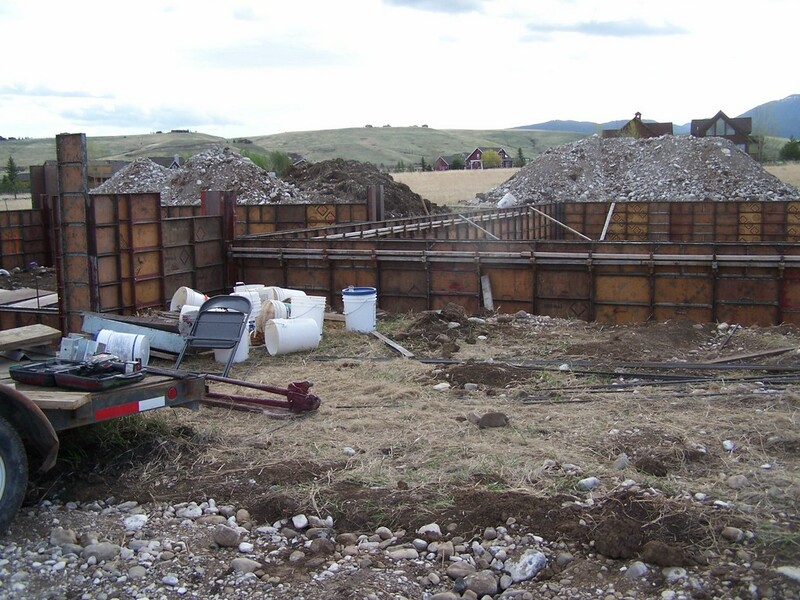 The rectangular panels sitting around the foundation are the wall forms. Once the leveling and rebar is completed then the panels are set into place. Here is a completed footer up close. Once the cement is dry the wooden planks will be removed. As the job progresses all of the cement forms are finally set into place. All of the wood is stripped off of the footers. The rebar on the center footers is cut to a final length. The walls will be 8 inches thick of poured concrete. That is a very substantial wall. 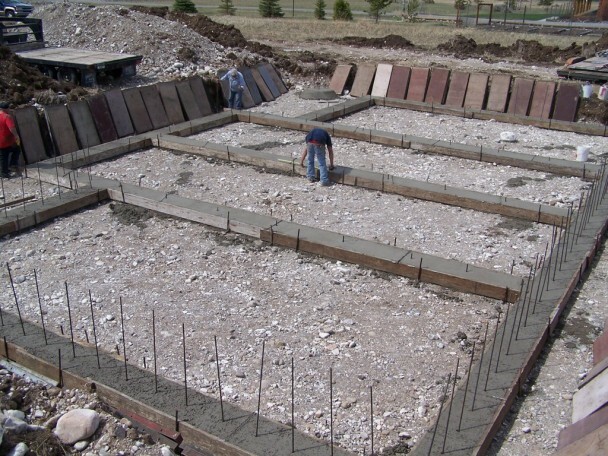 If you notice there is no cement forms down the center of the footers. This is because a ‘pony wall’ will be built for support onto of the footers. A poured wall is not needed. This is the garage panels being set into place. 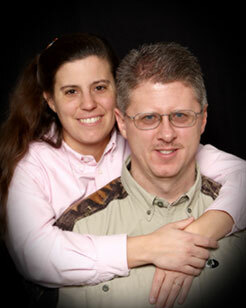 If you notice the back wall of the log home is directly in front of us. Then to the right the garage is tied in. The poured walls of the house continue straight and completed the perimeter of the house. Then a complete rectangle of forms and footers is constructed for the garage. This is because the garage is a cement slab and the log home is being built on a four foot crawl space. The garage forms have to be built up higher so that the logs can go straight across the foundation uninterrupted. This is a feature that is unique to a log home. The logs move and the concrete foundation does not move. In a standard construction home the garage foundation is typically stepped down. 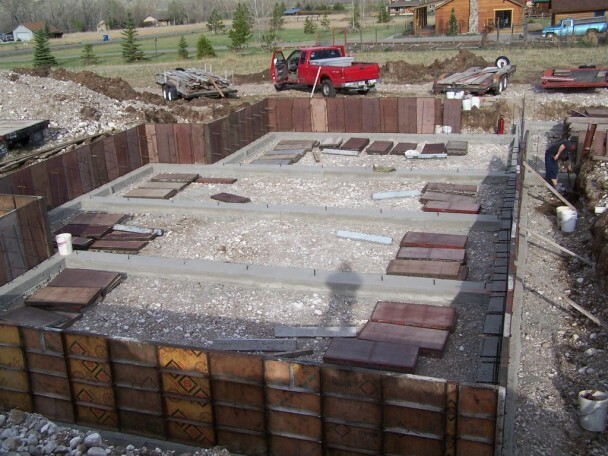 But especially with a handcrafted log home the top of the foundation needs to meet at the exact same level from house to attached garage. As we progress with this project we will show more details of this process. To keep the concrete from pushing outwards on the home braces are placed along the side of the forms on the hangers. Bracing boards are also added on the inside and outside of the foundation and down to the ground. Here is another shot of the taller foundation walls. Some builders would simply put another row of logs on the garage to raise the walls high enough. This is not a good idea. The logs and garage need to meet at an equal level. This keeps the foundation working as a unit and all the logs of the house working together. Our next page in our progression will show the logs beginning to be crafted.